We regularly get asked what the top tips for using social media for business and promotion are, so we thought we’d give you a flavour of the tips we share in our workshops, but also it’s a prompt for you to clean up those profiles, and update your info from last year! So, most of you might have a profile, but you don’t feel you’re really “using it”? Here’s some tips that will help maximise your profile, and gets some conversations started! Your “current position” title - this is the one liner that can be *anything* you like, not just a boring job title - this can be used to "sell" yourself or ask for help with something, so utlise it! Media Content - do you have any videos or photos that could go alongside all that text? Upload or link to these items. Rich but concise summary - tell people what you actually do! Old and irrelevant experience can confuse people, so use the summary to explain who you are, what you do and what you’re passionate about. What order are your sections in? - what's most relevant to the job you have/want? Put those first. Also, don’t be afraid to get rid of items out of your profile! Recommendations - are they relevant, who can you ask to recommend you? These are the digital version of references and should give a good promo for what you do, and the type of person you are to work with. Skills and expertise endorsements - you can edit these to showcase the skills you want to sell to people, similar to the different sections for qualifications and experience, curate your endorsements to focus on the work you most want to do. Groups – what do they say about you? - THE BEST way of engaging others, sharing your knowledge and meeting new contacts is inside LinkedIn groups. To really optimise your time on LinkedIn, choose a couple of groups you like the look of, do a bit of lurking first, understand what people like/don’t like, what sort of responses people give, and the types of members of the group. Then when you’re ready, post and reply with helpful, useful, though-leadery stuff! Share Snackable Content – When you post content on either Pulse (LinkedIn’s blogging platform) or your updates, make sure it’s engaging, informative and has some sort of media, link or call to action. Remember others are usually as time-poor as you, so don’t waffle and don’t hard sell! Similar to the LinkedIn platform, we generally find that people have a Twitter account and might be just in watching (think digital lurker) mode, rather than using social media as a social communications tool. There’s some great features on Twitter worth checking out! Lists – This is an easy way to keep an eye on specific groups of people (you have the option of Public or Private lists), and they help you filter down your timeline from the potential thousands of people you’re following, to just those people you select in your list. A fab way to keep an eye on your favourite friends, clients… or dare we say it even ex’s! Moments – For those of you who know we love Storify as a platform to curate content from across multiple platforms, Twitter Moments enables you to curate whatever tweets you choose into a specific timeline – great if you want to archive tweets from a particular event or hashtag! Hashtag – Ok, we just mentioned that word, but some people don’t know what it is, or how to maximise your reach with them. A #hastag is a series of letters and numbers, with no spaces or special characters, you can start one yourself, for example #DigiEnable or jump onto one that already exists, like #socialmedia the more you use hashtags, the wider your potential reach is (more people might see it) because you’re putting your content in front of people who aren’t necessarily already following you, but are searching that hashtag because they’re interested in that type of content. We highly recommend doing some research on what hashtags are relevant to you, and add they to your digital strategy. Hashtag Hours – Are you tapped into these? Each week for normally an hour, people tweet around particular topics, it could be location based like #Lancashirehour or it could be content based, like #businesshour – a great way to tap into new audiences, worth another look at, we think. Social Listening – not strictly a feature or tool, but super important! You should only spend about 20% of your time in “broadcast mode” (basically telling people all about you and what you do), the rest of the time you should be trying to help people, answer other people’s questions (that involves listening! ), and sharing useful interesting information from others. 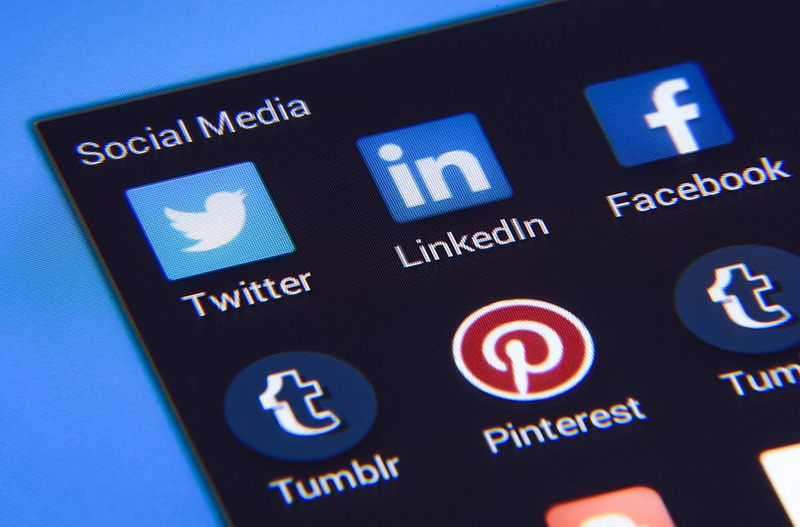 Social media can be a useful tool to find out the latest breaking news from around the world, find out about that networking event you didn’t know about, or even have answers to your questions! But you have to listen! The age old saying of we have two ears and one mouth… well how would that translate for digital? Two eyes, two ears, one keyboard maybe? Profile, profile, profile – we couldn’t finish this list off without a mention to maximising your profile – make sure you’ve got an interesting, high quality image for your profile avatar (icon) and your header; a link to your specific page on a relevant website where others can learn more about you/your organisation, any relevant #s you tweet about, your location (if relevant) and your response hours if you don’t plan on being connected 24/7 – if you have an engaging profile that’s clear about what you’re all about, you’re more likely to get more followers, as people will know what they’re getting by following you. So these are a few pointers to get you going, if you’ve got any further suggestions, we’d love to hear them! If you’re interested in how DigiEnable can help you, get in touch!